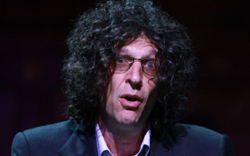 Howard Stern and his agent are suing Sirius XM Radio Inc. for failing to pay stock awards they say are due for helping it exceed subscriber growth targets on its way to becoming the dominant satellite radio service in the country. The New York-based company, which just signed Stern to a second five-year contract, said it was “surprised and disappointed” at the suit and said it had lived up to the obligations of their previous deal. In the suit filed Tuesday in the Supreme Court of the State of New York, Stern’s production company, One Twelve Inc., and his agent Don Buchwald said that Sirius made an initial bonus stock award after Stern started in January 2006 but failed to do so over the subsequent four years. The suit claims that Stern helped Sirius exceed its subscriber targets by at least 2 million subscribers in each year of the contract, triggering a new stock award each time. It also said Stern put Sirius in a position to complete its 2008 acquisition of XM Satellite Radio Inc., which had also courted Stern years earlier. Sirius had around 230,000 subscribers to XM’s 1.3 million at the end of 2003. As of the end of December, the combined company had 20.2 million. Buchwald and Stern were told last year by Sirius XM’s general counsel, Richard Basch, that later bonus stock awards were not granted because the company did not include XM’s subscriber base toward the total number of Sirius subscribers. The suit follows a public feud last year that preceded the end of his $500 million, five-year contract. The bickering appeared to end when Stern, 57, announced on his weekday morning show in December that he had agreed to a new deal running through 2015, although terms were not disclosed. Stern, whose show airs from 6 a.m. to 10 a.m. Eastern time Monday through Thursday, freed himself from the confines of terrestrial radio on Dec. 16, 2005, after hosting a wildly popular show syndicated by a division of CBS Corp.